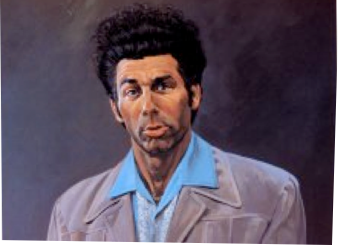 Thank you Cosmo Kramer! You inspired me. In an episode of “Seinfeld” titled “The Pool Guy,” Kramer receives numerous “wrong number” phone calls, and soon learns that his new phone number (555-3455 or 555-FILK) is just one number off of the MovieFone phone number (555-3456 or 555-FILM). He embraces this ironic mishap, and becomes an uninformed movie critic, advising random people whether to see or skip the movies currently playing in theaters.